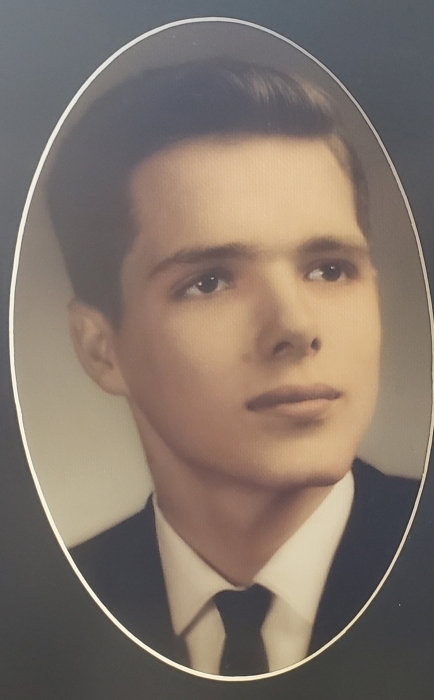 David Lawrence Adams, Sr., age 71 of Troy died Thursday, October 11, 2018 in Troy . Lawrence was born October 7, 1947 to the late David Loyd "DL" Adams and Mary Frances Flowers Adams. He was also preceded in death by two brothers, David Adams and Kennion Adams. Lawrence married Mary Parish August 6, 1966 and was married for 52 years until his death. Lawrence was a loving husband, dedicated father, and Paw Paw to his grandchildren, an excellent businessman and touched countless lives through his Coaching and countless friendships he has made in his life. Funeral services will be held Sunday, October 14, 2018 from the chapel of Green Hills Funeral Home at 2:00 PM with Reverend Wayne Locklar, Reverend Donnie Dunn and brother Jonah McWaters officiating. Burial will follow in the Green Hills Memorial Park Cemetery. Visitation will be held Saturday, October 13, 2018 from 4:00 until 6:00 PM at Green Hills Funeral Home. His survivors include; wife of 52 years, Mary P. Adams, daughter and son- in- law, Melissa and Chuck Ingram, sons and daughters-in-law, David Lawrence and Whitney Adams, Jr., Brian Kevin and Aaron Adams, his grandchildren, Alex ( Wesley) Woolard, Austin Ingram, Parish Adams, Ansley Adams, Dutch Adams, Locklar "Rock" Adams, Brian Adams, Georgia Adams and Parker Adams, a great grandson, Fred Woolard. his sister, Dowana (Don) Delbeke, brothers, Mark (Terri) Adams, Mike (Sheree) Golden, sister, Katie Sue (Wendell) McWaters, nieces and nephews, Sydney Golden, Jolie Golden, Darrin Johnson, Anna Adams, Gage Adams, Drew Adams, Jonah McWaters and Josh McWaters, and his step-mother, Katie Adams, his uncle, Leon (Mary) Flowers and 3 aunts, Lonice McLendon, Annie Lee Shaw and Betty (Winston) Shiver. Serving as pallbearers will be Brian Adams, Austin Ingram, Parker Adams, Dutch Adams, Josh McWaters, Darrin Johnson, Lance Johnson , Jonah McWaters, Gage Adams, Drew Adams and Wesley Woolard. Honoarary pallbearers will be David Locklar "Rock" Adams , William Fred Woolard and the Deacons of Good Hope Baptist Church. Memorial may be made to the Good Hope Baptist Church, 1093 County Road 1165, Troy, AL 36079. The staff of Green Hills Funeral Home is honored to serve the Adams family.